Philippine activists gathered outside the Chinese Embassy in Manila to demand Beijing withdraw its claims to disputed areas of the South China Sea. 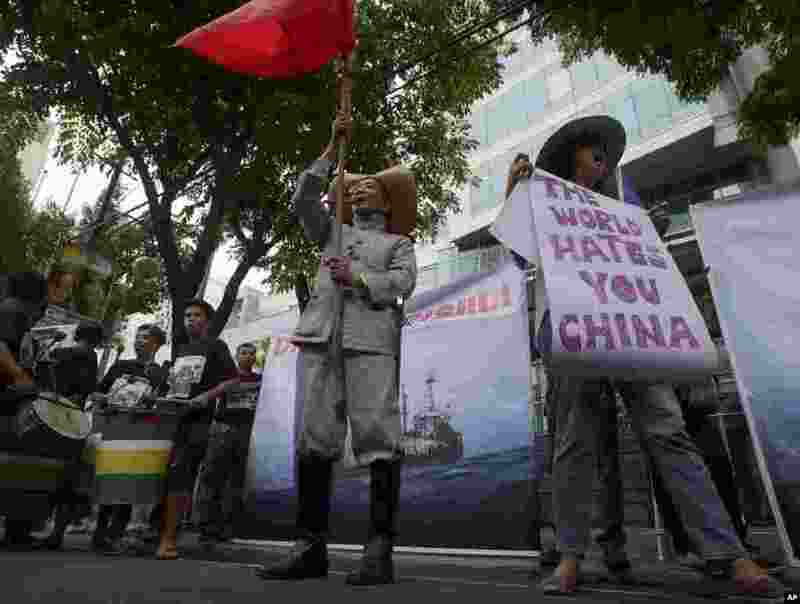 1 Protesters display placards while shouting slogans outside the Chinese Consulate in Manila against China's construction in a disputed area of the South China Sea, June 12, 2014. 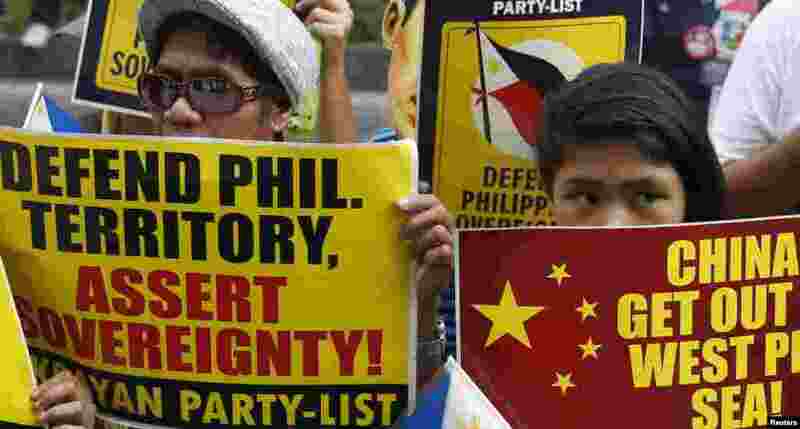 2 Protesters display placards as they march to the Chinese consulate office in Manila, June 12, 2014. 3 Protesters display placards showing national hero Apolinario Mabini, while shouting slogans outside the Chinese Consulate, Manila, June 12, 2014. 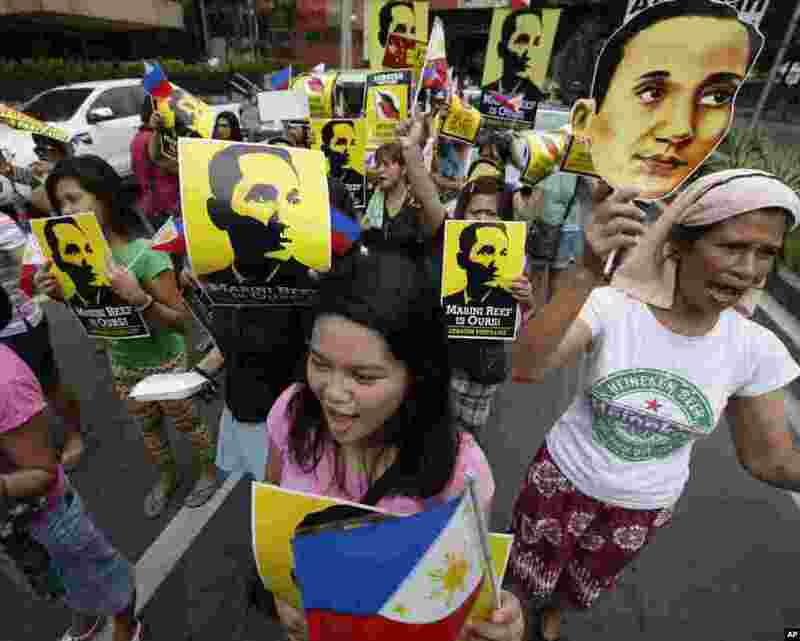 4 Protesters display placards with images of national hero Apolinario Mabini as they march to the Chinese consulate office in Manila, June 12, 2014.